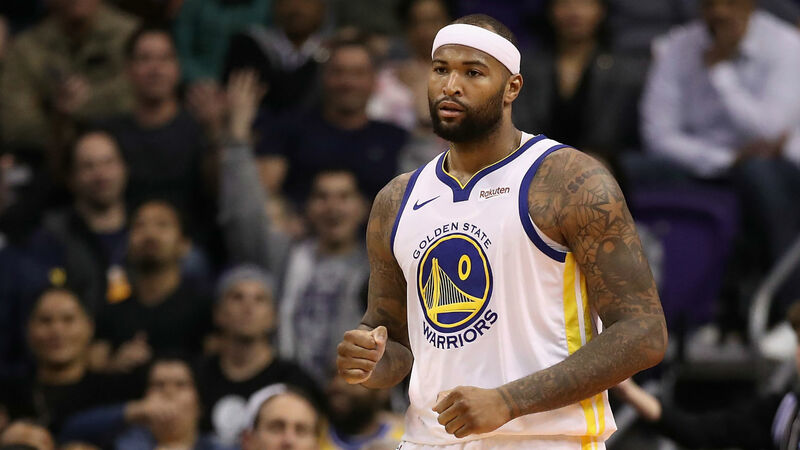 DeMarcus Cousins is set to return for the Golden State Warriors after being cleared to face the Indiana Pacers on Thursday. Cousins had been considered "day-to-day" with an ankle injury after undergoing an MRI, but he missed only two NBA games as he sat against the San Antonio Spurs and Minnesota Timberwolves. The four-time All-Star's MRI came back negative, but he still took a few days off to rest for precautionary reasons. Cousins left Saturday's 110-88 win over the Oklahoma City Thunder in the fourth quarter after experiencing soreness in his foot, prompting further evaluation. Australian center Andrew Bogut stepped in during Cousins' absence and returned earlier than expected to start his second stint with the Warriors following his signing earlier this month. Cousins will reclaim his starting position against Indiana, though Bogut will be available. The Warriors hold a 48-22 record heading into Thursday's matchup and are sitting atop the Western Conference, just a half a game ahead of the Denver Nuggets.